1. What is a Simulated Experience? 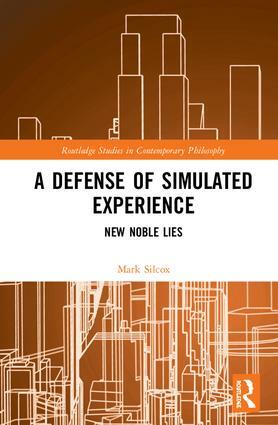 Mark Silcox is Professor of Philosophy at the University of Central Oklahoma, USA. He is the author, with Jon Cogburn, of Philosophy through Video Games (Routledge, 2008). He is also the editor of Experience Machines: The Philosophy of Virtual Worlds (2017).